Ships passing up and down the Thames today are monitored by radar from the Port Control Centre of the Port of London Authority (PLA) built in 1959. Every year there are approximately 38,000 shipping movements and the Port of London handles over 52 million tonnes of cargo. By combining a network of radar stations, radio communications and remote readings of tidal gauges, the PLA ensures safe navigation from the tidal limit of the Thames at Teddington all the way down river to the North Sea. However, for many centuries before 1908 when the PLA was established by Act of Parliament, it was the job of the ‘Searcher’ to instigate controls over shipping at Gravesend. All ships had to stop to be searched and to assess the duties payable on their cargoes. John Page was the first person to be appointed to the position by Edward III in 1356. An Act of Parliament in 1559 prohibited the landing of cargoes at any wharf on the Thames except at ‘legal quays’ on the north bank of the Thames between the Tower of London and London Bridge. Ships were also required to stop at Gravesend for a health check. Captains swore on the ‘Plague Bible’ that there was no sickness amongst the crew or passengers. A customs official known as a Tide Waiter then boarded the ship to make sure that it only stopped at the legal quays. This practice continued until the opening of London’s enclosed dock system in the early 1800s (West India Dock in 1802 and London Dock in 1806). 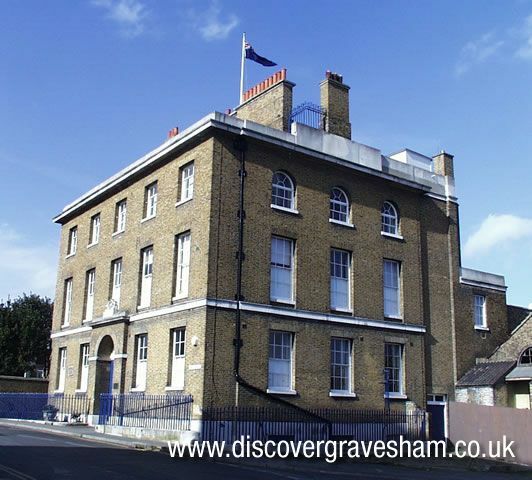 In 1649, a Customs House was proposed to house the Tide Waiters who were then using several of Gravesend’s inns as offices. However, it was not until 1782 that the first customs house, Whitehall Place, was built opposite the present Customs House. 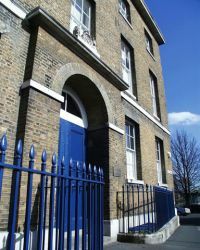 It still stands today in use as the headquarters of the salvage company, WE Cox & Co (Recoveries). In 1812, changes in the law meant that ships no longer had to stop at Gravesend to pick up a customs official. Consequently, the number of customs officers was reduced and they moved from Whitehall Place to share a building with the Excise Service. 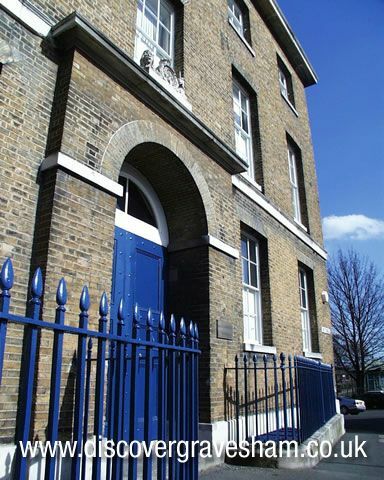 This building is the present Customs House built on the site of the ‘Fountain Tavern’ in 1815/6. Its most important features include an unsupported central staircase designed by the famous interior designer Robert Adams, who was the Architect of the Kings Works. There is also a lookout room on the roof giving an unrestricted view of the Thames. HM Customs and Excise Service at Gravesend is still active in the pursuit of smugglers and the control of illegal imports. 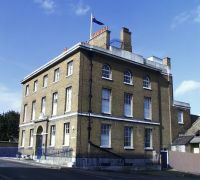 The Customs House has a small museum that tells the full story of service and how its operations have changed over the years. It is opened specially for TOWNCENTRIC’s guided walk of the town, the Pocahontas Promenade. Pick up a leaflet at TOWNCENTRIC for more information or ask one of our Tourist Information Officers.